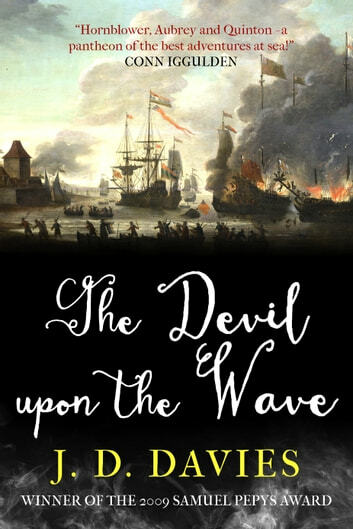 1671: Matthew Quinton is on a mission into the heart of enemy waters, bent on revenge for England's crushing defeat of 1667. The Dutch not only destroyed English ships and slaughtered their men, but stole the jewel of the fleet, the flagship Royal Charles. Fans of Julian Stockwin and John Drake will love The Devil Upon the Wave, book eight in the Matthew Quinton Journals. ‘A splendid addition to nautical adventure, and a grand story, to boot!’ Dewey Lambdin, author of the Alan Lewrie series. Great book of 1600 Most interesting Not a sailor but I did serve in Canadian Army have always enjoyed history. The period of this series is much earlier than that used by the other outstanding British Naval writers who focus on the period of conflict between Napoleon and the rest of Europe. Here the focus is the wars between the Dutch States and England nearly a century before when England had not yet become the ruler of the waves. The story is well- researched, well-written, exciting and entertaining. Very good read.